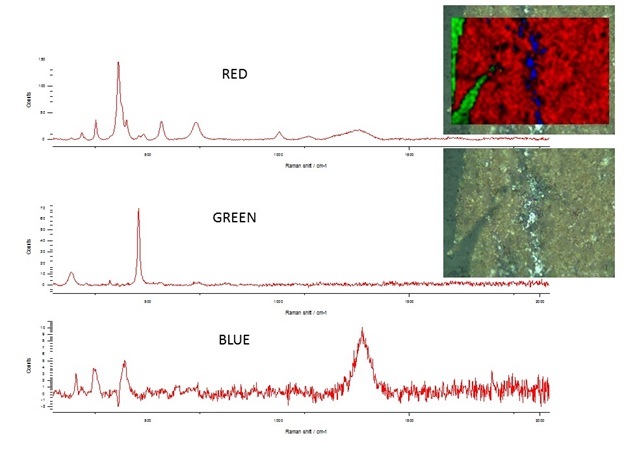 Laser Raman spectroscopy depends on a change in the polarization of a molecule to produce Raman scattering. When a beam of photons strikes a molecule, the photons are scattered elastically (Rayleigh scattering) and inelastically (Raman scattering) generating Stoke’s and anti-Stokes lines. 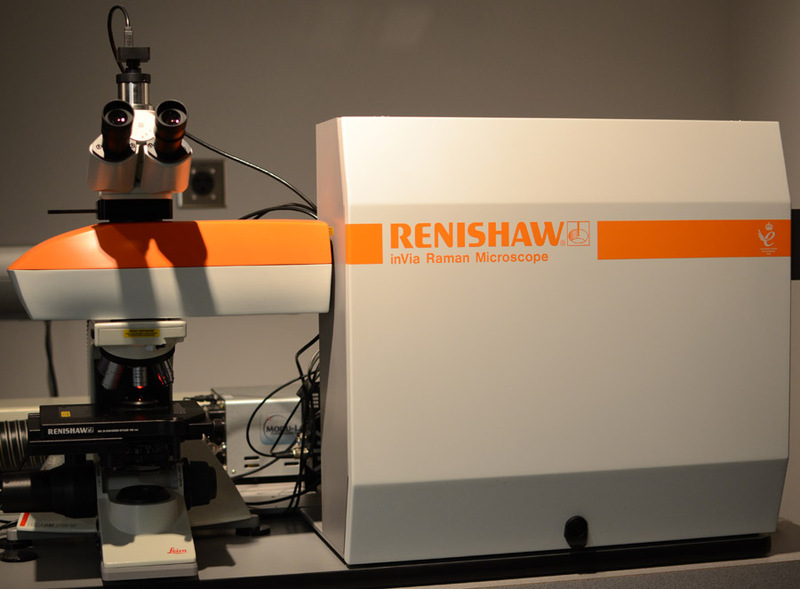 Because Raman spectroscopy is a scattering process, samples of any size or shape can be examined. Very small amounts of material can be studied down to microscopic levels (~1µm). 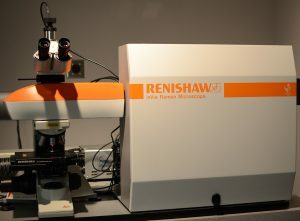 Renishaw InVia Reflex Raman Spectrometer with three wavelengths available: 785nm, 633nm and 514nm and two gratings, 1800 and 1200 l/mm. Also equipped with polarizer and half waveplate for each laser. 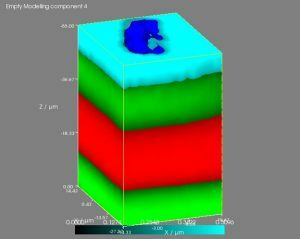 Upside down volume rendering of a particle of TiO2 held on a glass slide by double-sided tape. StreamLine HR imaging, a high speed mapping function allowing the collection of thousands of datapoints in minutes. Minimum step size, 0.1 microns. StreamLine imaging, allowing the collection of spatially resolved spectra with longer accumulation times.